The moment I read the scent description for Frozen Lake, I was intrigued. It sounded fresh and that’s exactly what I craved after burning so many spicy and pumpkin scents. Not that I mind. I love my pumpkin pies and apple spices but sometimes I need a break in between. Made with lavender and cypress essential oils with notes of eucalyptus and juniper berry. Putting my nose in the wax, it was hard to tell what exactly I was smelling but if I had to pick, I would say cypress, eucalyptus and juniper berries. All combined, it smelled like a fresh unisex body splash. Lavender? I didn’t smell lavender but if that herbal floral makes its presence in this aroma, I’ll be very happy. Everything in that scent description appealed to me. I lit my Frozen Lake candle in my master bedroom and that’s where it stayed till the very end. The wicks lit right up and 10 minutes in, a refreshing unisex aroma filled my bedroom. The scent remained very true and my entire bedroom smelled like I sprayed a masculine body splash all over the place. It was light, airy and smelled masculine to me. My daughter and husband thought it smelled like perfume. I said body splash so we were all pretty close. Strength – I would rate Frozen Lake a 7 out of 10 in a really large room. 10 in medium to smaller rooms. It wasn’t super strong but gave a nice and steady medium scent throw. How did my Frozen Lake candle burn? I enjoyed Frozen Lake but keeping it real, probably not enough to purchase again. The scent was nice and I liked it but lacked the “wow” factor I require when it comes to repurchasing. The burn performance with this candle was also irritating. 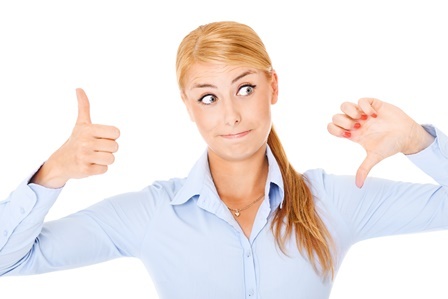 All of that combined makes for a thumbs up and thumbs down experience. 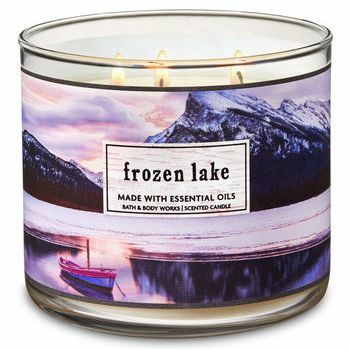 If you however enjoy fresh unisex fragrances, definitely check out Frozen Lake next time you’re near a Bath & Body Works store and see for yourself. If you end up purchasing one, hopefully your candle burns much better than mine did. That always seems to be the gamble with this brand. Will it burn okay or not? I love the Frozen Lake scent, but I am with you on the burn performance. It is hit or miss with the B and B Works candles lately.